Adjutant General Stephen Danner addresses his vision, goals and priorities for the Missouri National Guard. Branson Mayor Raeanne Presley said not enough businesses are celebrating Christmas as justification for allocating $17,000 of Tourism Tax dollars to the Branson Chamber of Commerce for the purchase of led lit stars to be placed on utility poles throughout the municipality. Gail Meyer spoke on behalf of the Branson Lakes Area Lodging Association begging the Board of Alderman to practice intellectual honesty regarding the illegal use of the Tourism Tax funds. Best described as "cute", Meyers noted the use of tourism tax dollars was in violation of Missouri law. Statute requires tourism tax dollars be allocated toward marketing. The lodging association sought counsel who was asked if it was legal to use tax dollars for the expenditure. Meyer's reported the organization's specialist answered , "No, and referenced a very hot place." Meyer's also threatened to come back next year and offer another three minute lecture which served as little threat to a board which has shown little respect for the law. Alderman Cris Bohinc said she couldn't remember why she voted against the expenditure last year but she trusted Alderman Sandra Willams and wanted to support her efforts. Mixing pleasure and business, Alderman Sandra Williams, Cris Bohinc and Mayor Raeanne Presley are known to hold regular meetings at Willams. home. In addition to disregarding the illegal nature of the expenditure, Presley said she didn't have any problem with the money going out as a no-bid contract at Empire District Electrics request. The document you see above cost over 40 dollars, was delayed several weeks and proved the criminal elements on Branson's streets have more integrity than the leaders we have at city hall. Branson Police Chief Carroll McCollough went to great effort to cover-up the bust that occurred on Hwy 76 close to a mile from the mayor's theater on Hwy 76. The meth lab bust occurred at the Payless Inn across from Music City Center and serves as a residence for mostly foreign seasonal workers in addition to housing some of Branson's poorest residents. Word on the street was that three people were busted and that officials were looking for 11 more suspects. In order to allow the police to investigate and find participants, no Freedom of Information Act requests were made to the Branson Police Department until weeks after the raid was conducted. The publication you're reading is currently the only Branson outlet where the journalistic process to cover stories is actively being utilized. Witnesses claim amphetamines were being manufactured in two hotel rooms which were raided at the Payless Inn on the 76 strip. The dangerous chemicals utilized to produce meth have traditionally resulted in a Haz-mat team entering the facility to clean -up before citizens are allowed to enter the building. None of the mostly black residents were evacuated nor has an incident report been discovered by local health officials. "We checked the record and found there were no Meth Labs found in Branson on the 22nd, 23rd or 24th of July"
At a community overhaul buy-in meeting Branson Police Chief Carroll McCollough accompanied by Branson Mayor Raeanne Presley and real estate agent Karen Best were present when I tried to pull McCollough to the side to ask if publishing the report of the meth bust was being withheld for investigative purposes. McCollough was arrogant in his response publicly acting in a humiliating manner. A specific query was made for all "drug related" incidents on the 21st of July. The documents had 90% of the information blocked out for a charge of $10.70 and a week delay. While most people believe this information is a public record I'm currently being charged for the time it takes for the files to be censored, printing costs, research time and the documents are being held for 72 hours every time a request is made. While most American municipalities are obedient to state and federal laws that allow access to incident reports, Branson's leaders are actively censoring their activities through price gouging, censorship and in many cases outright lying. Slowing the meth industry is a noble cause but if it puts innocent civilians in danger we should reconsider our methods. Though many people believe government corruption is inevitable it should never be accepted, ignored or encouraged as it puts each of us and democracy itself in danger. The Declaration of Independence holds that the rights of men are granted by God not to be disturbed by men in leadership positions who deem themselves superior to the creator and attempt to violate and steal the gifts God freely graces everyone. The first and most fundamental god given, constitutionally affirmed right is the American security of speech unabated by government. What Paul Dunn believed before attempting to bring Bransons first hip-hop artist to Branson is that our current mayor Raeanne Presley had no respect for the rule of law, conflict of interests nor the creator that grants men these rights. Presleys behavior proved Dunns assessment correct. Having experienced the perversions of our honor-less leader firsthand and on a continuing basis it was redeeming to see Hip Hop artist Nelly take a stand against the corruption of Branson's current leadership. "To the people that tried to stop me from coming, F*ck You, This is 2010 MotherF*ckers not 1910". To all the families in Branson who want their children to grow up with civil liberties retained, to those who love freedom, to those who believe in a God of love as opposed to one of bigotry, and to those who've watched their rights violated at the hands of a leader whose moral compass is her personal pocketbook, Nelly's actions were family friendly. They are far friendlier than the word "no" given to Dunn when he attempted to exercise his right to assemble. After Nelly dispersed his words of wisdom upon the crowd the music began and the crowd chanted as Nelly stretched the microphone to the crowd singing, "Nelly, I love you, I do...." These words will never be spoken at Branson city hall where no love is given to private enterprise. But before this act of redemption for those who've had their civil rights stole at Presley's command, Dunn had to walk through a fire. 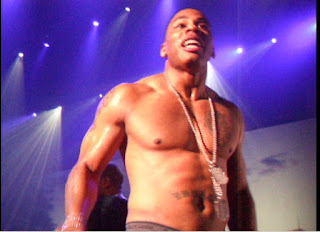 Ten days lapsed between the time Dunn filed for an outdoor event permit and began the negotiation process with Nelly. Negotiations were intense as Nelly communicated through a business manager by phone from a hotel room in Las Vegas. Nelly wanted full payment in cash but eventually settled for half of his total payment before shooting a video with Dunn to announce Nelly would be appearing in Branson. The video was released on July 4th, Independence Day and an elaborate hand was devised by an anti free-market administration which currently resides at Branson city hall. Dunn kept two words out of his initial "Summer Kick Off Concert" permit - black and rap. Jim Lawson, who was hired after a whistle blower who accused the mayor of corruption was fired, asked Dunn to sign one more piece of paper when he arrived back in Branson. The city gave no indication that there was any problems until days later when the mayor showed up mafia style at the Grand Palace with several city department heads. The taxpayer funded gang informed Dunn that the permit to have an outdoor concert was being denied. According to Dunn, Lawson said, "we would never allow a permit for that kind of music. An act of intimidation ensued as Police Chief Carroll McCollough squeezed Dunn's hand hard enough to bruise but Dunn refused to be intimidated smiling at McCollough stating, “that's the hardest handshake I've ever felt”. An aggressive act to financially harm Dunn was already in effect. Illustrating the problem of a trend where media outlets allow unfiltered airplay of press release self-reported by government bodies, a document writhe with fraud was distributed across the nation. Presley's efforts briefly caused concert tickets to come to a grinding halt. 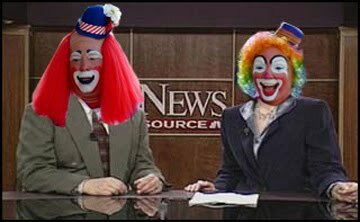 It was intended to be a business death blow distributed in full by her business partner KY3inc and partner affiliates KY3 and KSPR..
Branson is so slow in late August that the Mayors theater is being shut down for 21 straight days - the city said parking was an issue, but Dunn's proof of ample parking fell on deaf ears. There were no plans to serve alcohol but Presley reported in the release one reason Dunn was denied was because he didn't have a state license to sale beer. The city said they were protecting neighboring businesses but all the neighbors including Andy Williams theater granted both support and permission. The truth is Bransons city leaders never intended to grant the permit and the false report distributed by Branson City Hall had nothing to do with the real reasons the permit was denied. There was never an intention to allow the concert, this much is clear. Individually, with silent solidarity, members of the press who were aware of death threats Dunn received but kept it silent. Internet chat rooms were filled with self-identified KKK members who praised Raeanne Presley and the board of Alderman for their decision to alter an administrative process that allows her to ban whatever speech our mayor wants to censor for whatever reason she chooses. The board no longer discusses issues in an open manner but its important to note the behind the scenes conversation with board members focused on the partners and theater owner not the color of Nelly's skin. In fact, the command to ban Nelly from coming to Branson was given to Lawson by Presley through her employee Dean Kruithof. Due to a removal of checks and balances the "staff recommendation" was actually one Presley issued. 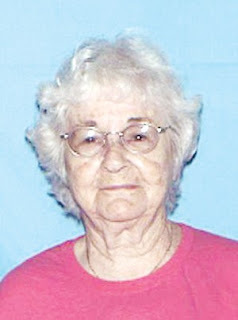 Presley changed the law forcing the city manager to report to the Board of Alderman as opposed to representing the city. In other words, when there is a staff report to allow or deny expression of speech it's due to the fact that the mayor told the staff member to accept or deny the request. Legal counsel now falls under the same rule, under ordinance ,legal counsel serves the mayor and her board of lackeys as opposed to the city or citizens. Over a million dollars in legal expenses have been buried due to a process where accountability to the citizens is a non-issue. In fact, the city of Branson claims only two votes have occurred from over 45 closed session meetings in 2009 and 2010. As the community witnessed the soulless actions of Branson's Board of Private Business Interests (alderman) several establishments offered Dunn aid. Following a failed attempt to file a restraining order and writ to force Branson to obey their own law, Dunn inked a deal with the Mansion theater. Mansion theater manager and owner of Backstage ministries Steven Lind suggested the offer to Dunn was to prevent further bad publicity and and decrease escalation of discontent in the community. Lind had no unkind words for his friend Mr. Scribner who was a partner in Backstage ministries until the Mansion decided to allow Nelly to perform. Scribner was an opponent of the decision and left the ministry to protest Nelly. Apparently, Scribner's call to ministry was nullified by Nelly as if God becomes powerless on Sunday if a blackman spits rhymes from the same location on Saturday. The Southern Poverty Law Center notes the hate group that operates in the Branson area calls itself Christian Identity. Some of these groups appear to emulate Muslim fundamentalists more than any practice of Christianity derived from the Bible. They practice hatred, legalism, racism and promote violence then throw a cross on top to advertise their cause. Several of these KKK styled 'white crosses were painted on the parking lot the night before the concert and painted over before concert goers started lining up at the door early in the morning. At three in the afternoon on show-day sound checks started and the line outside reached over a hundred deep. Another two hundred arrived by the time the doors opened at 4 so fans could escape the 100 degree heat and enter the lobby. Missouri's Southern District Court of Appeals rejected an appeal filed by the City of Branson whose arrogance was returned in kind for a secondtime. Two attempts to disassemble a Taney County's jury decision regarding land on Lake Taneycomo have failed. A large percentage of the Branson Landing was granted to Doug Coverdell by a Taney County Jury early in the year sparking multiple public displays of arrogance that has cost the taxpayers to fork an estimated cool million dollars this year in legal fees alone. Empire District's attempt to silent title on a portion of the Branson Landing lakefront began a seven year saga which includes a pedigree of legal consultants which reads like summation of the Southern Missouri Bar. Negotiators for Coverdell revealed under condition of anonymity that two offers have been made to the city of Branson's board of alderman. The first was $25,000 and the second $200,000 which the board rejected failing to put the vote of the record. The decision to litigate has cost the city a pretty penny, much larger than the original amounts Coverdell offered to avoid a long painful lawsuit - which the city and Empire District Electric have pursued despite continual failure to legally dispute Coverdell's claim to a large plot of land which includes portions of the Branson Landing. Missouri's Southern District Court of Appeals was kind by granting an extension for the city to get their files in order. Thursday August 19, 2010 was the deadline for the city to file an appeal. Empire District filed an appeal as well with a similar reponse from the court. Empire has 10 days to get it together. Apparently, the disrespect Branson's Mayor Raeanne Presley and Branson Board of Alderman have shown citizens and competitors in the marketplace proved contagious peeving the judicial. Unbecoming behavior toward appellate staff were returned in kind. The court stated "It's not the court's duty to scour the file and inform appellant of each defect" after informing the city of Branson that rules 81.2, 81.4 and 81.5 prohibit the city from failing to "omit documents that are unnecessary to the decision on appeal". The tone of the court screams loudly at the end of the appeal where Branson's rejected file is treated much like Presley has treated minorities who want to perform in the city. In rejecting the documents the court says they won't accept the file and the City of Branson can come pick it up if the want to. Otherwise the court offers to throw away the document. The city is offered a third option, they can have the document mailed to them under the condition that they provide money for postage - harsh. At last the court is kind giving the city a brief opportunity to hand a document to the judicial worthy of a response. Moreso it's an opportunity for Branson's City leaders to grow a heart and brain, two elements the governing body has been lacking. The failure to treat the aggrieved party with common decency and dignity has cost the city millions of dollars and could cost the city many millions more if they continue to disregard the tenants of common sense in their backroom meetings. Nelly tickets are still available as the performance at the Mansion theater is slated for Saturday evening August 21st. Promoter Paul Dunn has been busy fighting rumors published in state media outlets that have led people to the false assumption that the scheduled event wouldn't take place. The City of Branson, took unprecedented action outlawing an outdoor event for the first time in the city's history. Organizers responded by bringing the event indoors and switching venue to the Mansion theater which can host 3,000 guests. Several hundred tickets are currently available and can be purchased at the Grand Palace website. Premium tickets which include front row seating and admission to an after-party are available on the website posted above for $90. Opening acts include two local bands Rescue and Hit Squad. Concert organizers have stressed this will be a family friendly event. Jay Scribner tells Jann Clark of Ozark Mountain Newspapers his decision to quit preaching at the Mansion theater has nothing to do with "music style, race or the new venue being introduced. It has everything to do with environment". Mr. Scribner appears to know little about Branson's history claiming, "It's established itself through it's long history as a wholesome family oriented place, Everyone needs to do a self evaluation to determine if its healthy and holy for Branson'. Branson sits four hours from the original capital of the Confederate states (Little Rock, Ark.,) and an hour from the former headquarters of the KKK. 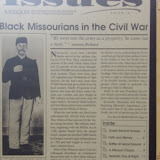 For years, a "No Blacks After Dark" sign sat on the railway which goes through downtown Branson and Hollister. This is our history. Let's not discuss the fact that the Presley's theater, which is owned by Branson's Mayor has never had a black employee (*could've had a token minority in the 60's) or their competitor "The Baldknobbers" has undeniable similarities with their KKK outfits. Let's not look at the apostle Paul's ministry, after all, he was a murderer prior to being converted to the faith - certainly not the kind of guy we'd want visiting Branson. Perhaps we should direct Mr. Scribner, former Jesus teacher for cash, back to the Presley's theater where he could analyze the "Liberace style attire" and educate us with a holiness rating telling us if the " homosexually inspired wardrobe" our mayor believes tax subsidies should be used to promote meets his standard of Godliness. Let's make sure and kick Jim Stafford out of Branson too. After all his ode to marijuana, "Wildwood Weed" couldn't meet the "fictional historical holiness" standard Scribner professes exists in Branson. While we're limiting free speech, perhaps Mr. Scribner should visit the churches in town and let us know which ones should be shut down. Who knows, a sinner might be attending. Instread we should evaluate our prejudices, consider what it means to be an American and create a vibrant discussion about holiness, godliness, freedom, liberty and civil rights. Who knows, if we allow free speech in Branson maybe someone will run for political office without being afraid of what the consequences will be to their private business. Jay Scribner's position is respectable. He has the right to make a political statement and pretend to be holy. But, in my opinion it's dishonest. After all his totally "non-racist" standard of Godliness doesn't seem to apply to the shortcomings of white people nor does it erase a dark history..
1. 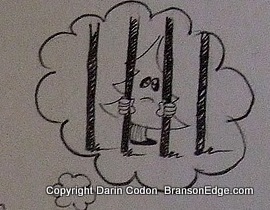 Branson Mayor and Board of Alderman's lack of common decency costs Branson residents $1.2 million in legal fees in 2010.Mayor hides dereliction of duty through Sunshine Law loopholes. 2. Branson Mayor and Board of Alderman send fraudulent press release over wire to slander private concert promoter, alter dates and insinuate alcohol will be sold to further harm party uninterested in promoting such activity..
3. Branson Mayor massively increases municipal spending to fund her private business activities; lobbyists funded by tax payers are asked to assist by pressuring state to allow higher utility rate increase. The max increase has already been enacted. 4. Branson Mayor spends a cool million dollars on personal trips and political efforts. The expense is budgeted in lieu of granting city employees 6% pay raise. 5. Branson Mayor spends $2 million dollars on unsuccessful witch hunts arrogantly fails to apologize to private sector business and individuals falsely accused of wrong doing. 6. Branson Mayor fires all city department heads with IQ Range of 125 to 145. All fired city employees nationally recognized for excellence in their field. 7. Branson Mayor and Board of Alderman reject $25k Branson Landing property settlement. Harmed party granted $90 million dollars in property by Taney County Jury. 8. Branson Mayor helps business partner bypass municipal processes designed to thwart free market economics (this headline would run every other week0. 9. Branson Mayor fires whistle blower who accuses Mayor of fraud. 10. Branson Mayor Presley Theater creates 0 dollars in new revenue - Branson Landing generates $450,000,000 in sales during same period. BRANSON, Mo. (AP) -- Branson police say they are investigating the death of a 48-year-old man in a hotel swimming pool. Branson Police Chief Caroll McCullough says no evidence of foul play was found after James Charles Ross Jr. of Branson was found dead Monday. Ross was found in the swimming pool of the Leisure Country Inn in Branson. McCullough says Ross had lived at the hotel for a few weeks and had lived in the Branson area a couple of years. The incident was originally reported to the Branson Mayor Media Group and is not getting national play. The Herschend Family qualifies as Branson royalty. The flagship themepark "Silver Dollar City" which sits 15 miles from Branson is the largest traffic generator to the Branson area. Controversy surfaced as efforts to fend off Knott's Berry Farm from investing in Branson several years ago. The fight was over the purchase of a theme park most recently operated by Herschend Family Entertainment (HFE) re-named "Celebration City". Two years ago HFE announced that the park would be closed due to financial reasons. Over the past two weeks some of the rides were sold at auction and the future of the property is uncertain. Another attraction called "Ride the Ducks" both manufactures and operates amphibious vehicle tours through the Branson area and other locations throughout the United States was purchased in 2004. Recently HFE moved vehicle manufacturing operation from the Branson area to Kansas. It's not clear which location manufactured the vehicle that was cited in a recent wrongful death lawsuit filed by Ronai and Ronai LLP. Several press releases by the firm have made headlines recently. Click the Read More Link Below to read some of the Press Releases and news articles published about the incident and lawsuit. "Mike Booth and Bob Simmons both discussed the fact that any added tax/fee placed on the constituents would need to be well thought through; be for a specific purpose; be placed on a ballot with strategic timing; and have champions in the community in support of the issue." BRANSON, MO August 6, 2010 – Employees and volunteers from Grand Crowne Resorts will host the First Inaugural Old Fashion Carnival, on Sunday, August 15 at 430 State Highway 165, Branson, Missouri from 5 p.m. to 9 p.m. at the Carriage Place resort property; a fundraising event to benefit the Muscular Dystrophy Association. As part of the event, the employees and volunteers will conduct a ‘Cutepool’ drawing for $250; a $10 donation can be made to enter into the drawing during the event. In a collaborative effort with Grand Crowne Resorts to raise money for MDA, employees and volunteers are creating a fun, old fashion carnival atmosphere. The event will feature games such as a dunk tank, water slide, treasure chest, football toss, milk bottle blast, cake walk, bingo, hole in one, ring toss, balloon darts and rainbow penny toss. In addition, the carnival will include clowns, singing, dancing and a ‘Grand Crowne’s Got Talent’ talent show. A meal will be provided that includes carnival favorites like hot dogs, hamburgers, popcorn, cotton candy, chips and soda. The public is encouraged to attend this exciting event in support of MDA. The price of admission is $15 for adults, $10 for children ages 4-16 and children under the age of 3 are free. Each admission includes a meal ticket and 10 game tickets. For more information about the Grand Crowne Resorts’ First Inaugural Old Fashion Carnival MDA fundraiser event, contact Mel Baggs at Grand Crowne Resorts, 800-615-6511 ext. 8333. The Muscular Dystrophy Association is a voluntary national health agency – a dedicated partnership between scientists and concerned citizens aimed at conquering 43 different neuromuscular diseases that affect more than a million Americans. MDA’s mission is to find effective treatments and cures while providing services to individuals and families affected by neuromuscular diseases. 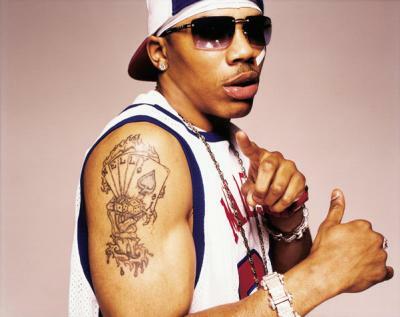 An attempt by Annisa Bluebam on behalf of Paul Dunn and and Steven Lind to bar the cities attempts to block the city of Branson's denial of a special events permit that would allow rap artist Nelly to perform outdoors was denied by Missouri's 38th Circuit Judge Mark Orr. Notice of pending legal action was served to city attorney Dub Duston minutes before an appearance in front of Missouri's 38th Circuit Judge Mark Orr. A writ of mandamus which would have forced the city of Branson to obey the Constitution and the municipalities own ordinances was denied early in the evening before most media outlets went forward with publication. The Mansion Theater is expected to host the event but a formal announcement has not yet been made. Friday, Aug. 7, is the 50th anniversary of the outdoor drama at The Shepherd of the Hills Homestead. The anniversary show is at 8:30 p.m. on Friday, but attendees are encouraged to be at the Homestead by 7:30 p.m. for the frog races. After the show, there’s cake and a fireworks display. The outdoor drama is based on Shepherd of the Hills by Harold Bell Wright. The book was first published in 1907 and quickly became one of the best-selling books ever written by an American author. The book is the basis of four movies, and served as the spark for Branson's tourism industry more than 100 years ago. Based on actual events, the story details the lives of mountain people and their daily struggles taming the rugged Ozark hills, battling baldknobber vigilantes and raising their pioneer families. Of course there's lots to do at the Homestead in addition to the outdor drama. Arrive earlier in the day to visit Inspiration Tower, ride the Vigilante Extreme ZipRider that launches you from the top of Inspiration Tower and then go to the Sons Of The Pioneers Dinner Show. Shall state statutes be amended to: Deny the government authority to penalize citizens for refusing to purchase private health insurance or infringe upon the right to offer or accept direct payment for lawful healthcare services; and to modify laws regarding the liquidation of certain domestic insurance companies? Shall the county levy a tax of 5 cents per $100 assessed valuation to provide services to people age 60 and older? Missouri's Sunshine Law gives citizens the impression that open government laws protect citizens but according to Kelly Trimble nothing could be further from the truth. Contact with Kelly Trimble came after the City of Branson rummaged through six boxes of open records request and deleted a substantial amount of public files. Some of the records seem to be missing altogether. The shocking censorship effort by Branson's city government is nothing new says Trimble who is one of the few citizens that has actually taken legal action against government bodies that have blocked his requests. "I don't even bother trying with the city of Branson, some municipalities in rural Missouri run their offices like kingdoms blocking access to public records without consequence". notes Trimble, whose faith in open government laws has been completely diminished. Trimble elaborates the Missouri Attorney General's office advises government officials on how to evade information requests. The censorship was noted as document during a study being conducted at Branson City Hall on how people use the Sunshine Law to access public documents. Branson's custodian of public records was summoned to address the deletion of several documents responding with, "all the records are still available that you're allowed to see.